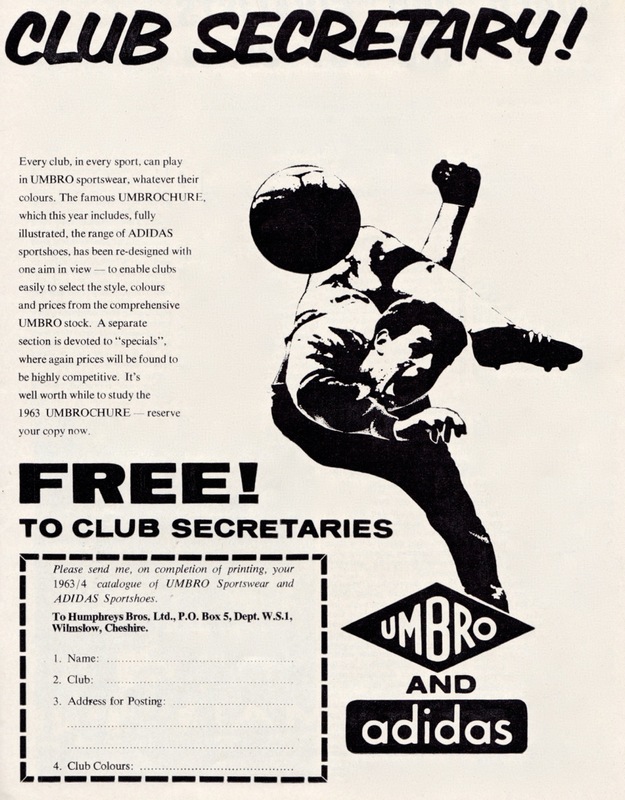 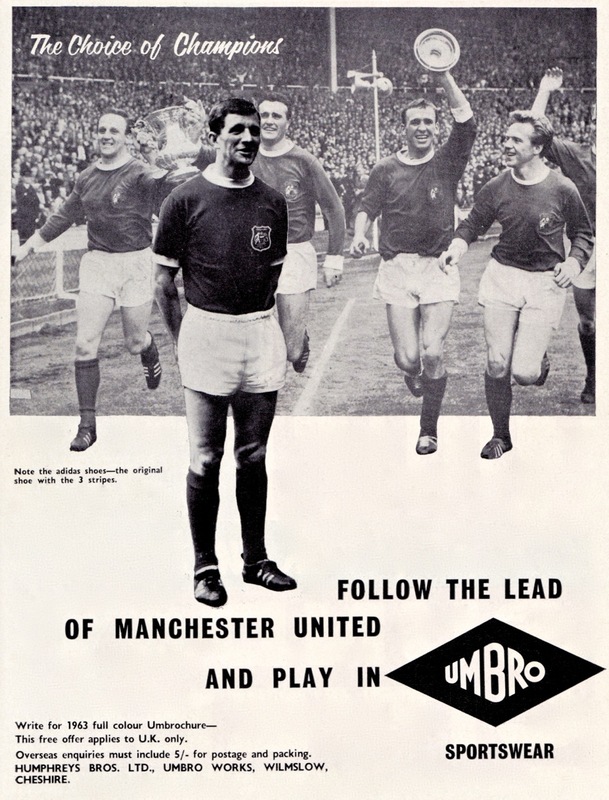 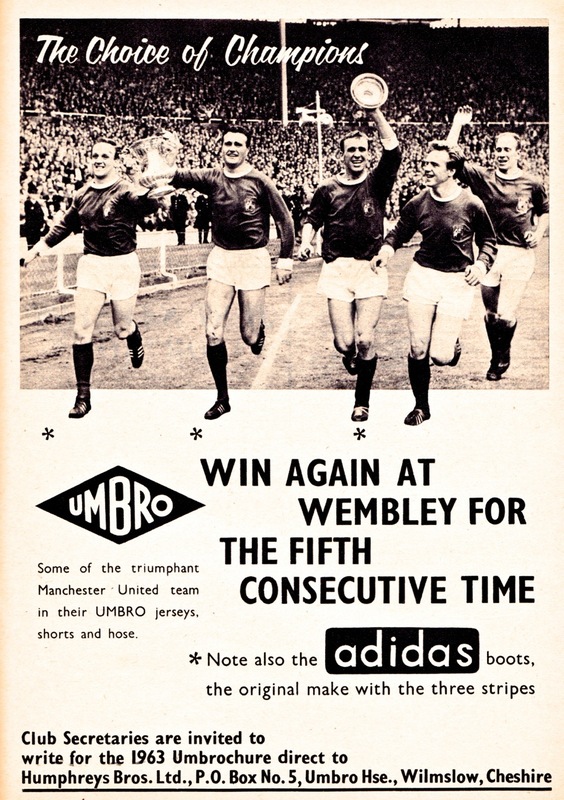 The FA Cup continued to feature extensively in Umbro’s early 1960s advertising. 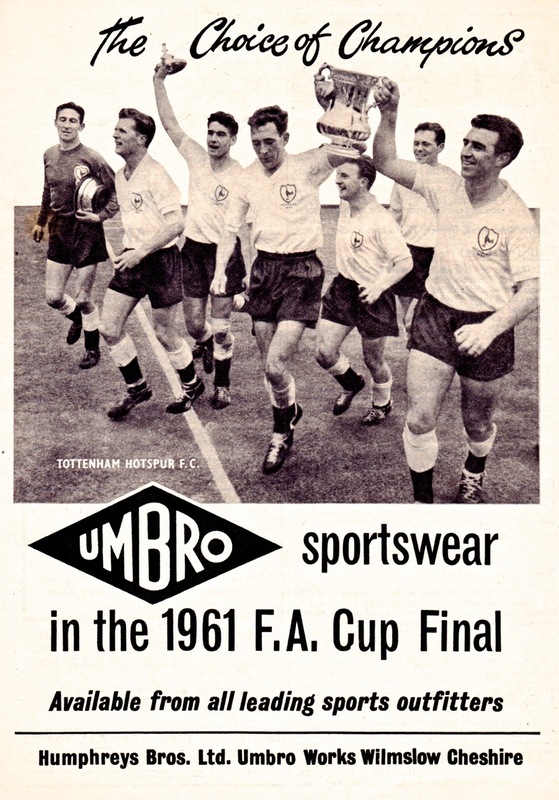 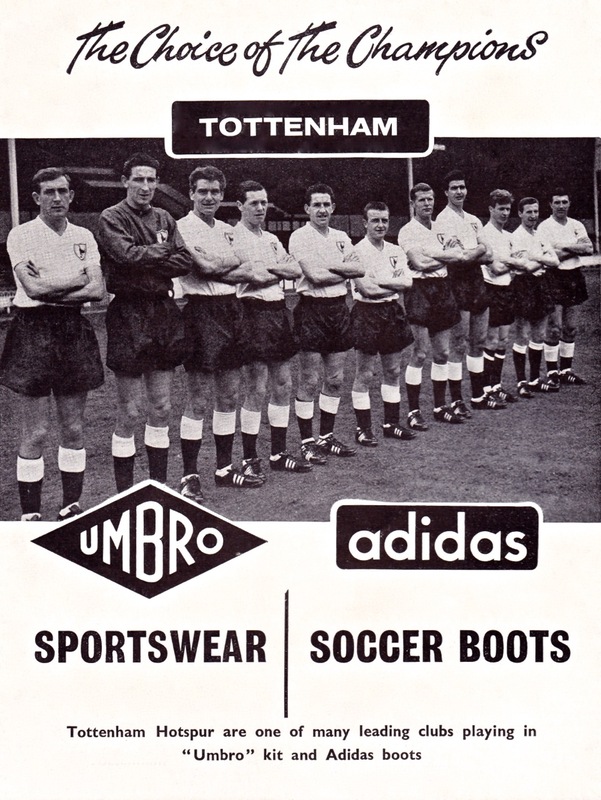 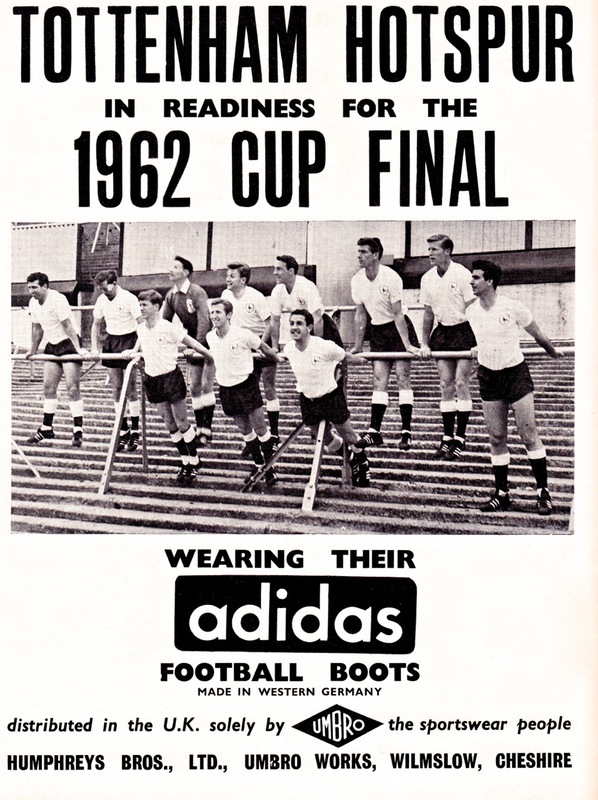 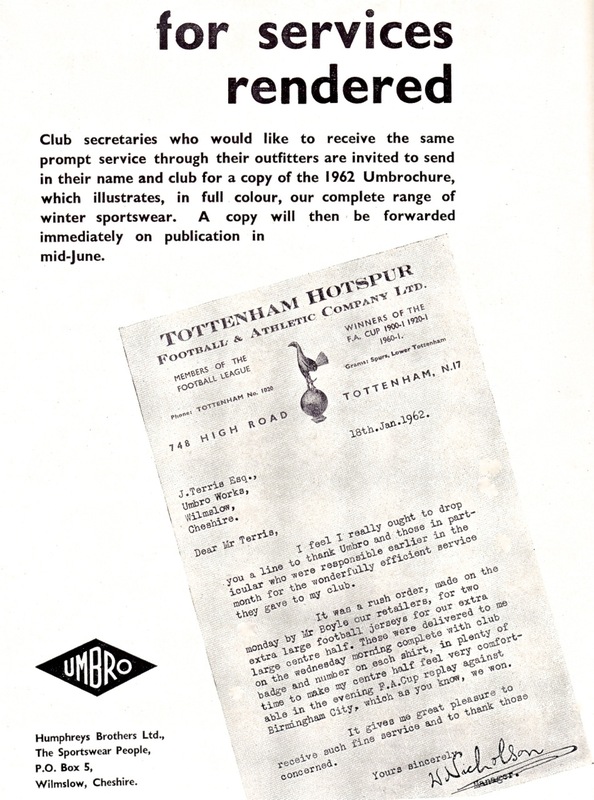 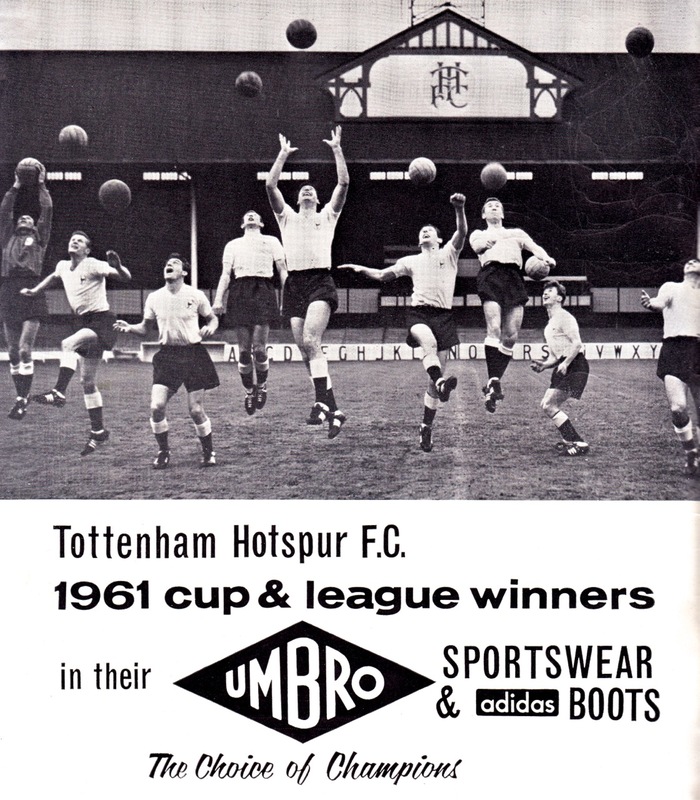 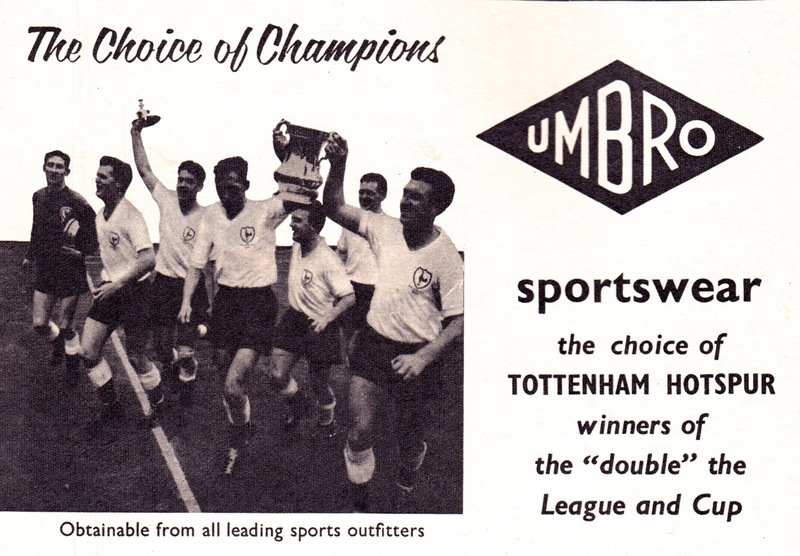 Tottenham’s back-to-back Cup wins in 1961 (as part of their double success) and 1962 caught the public’s attention and Umbro took fullest advantage of their association with England’s stand-out team of the era. 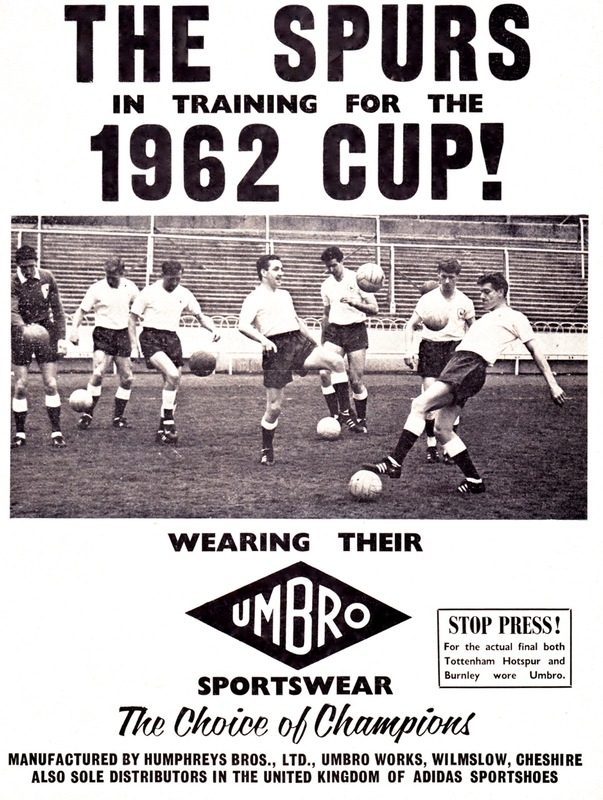 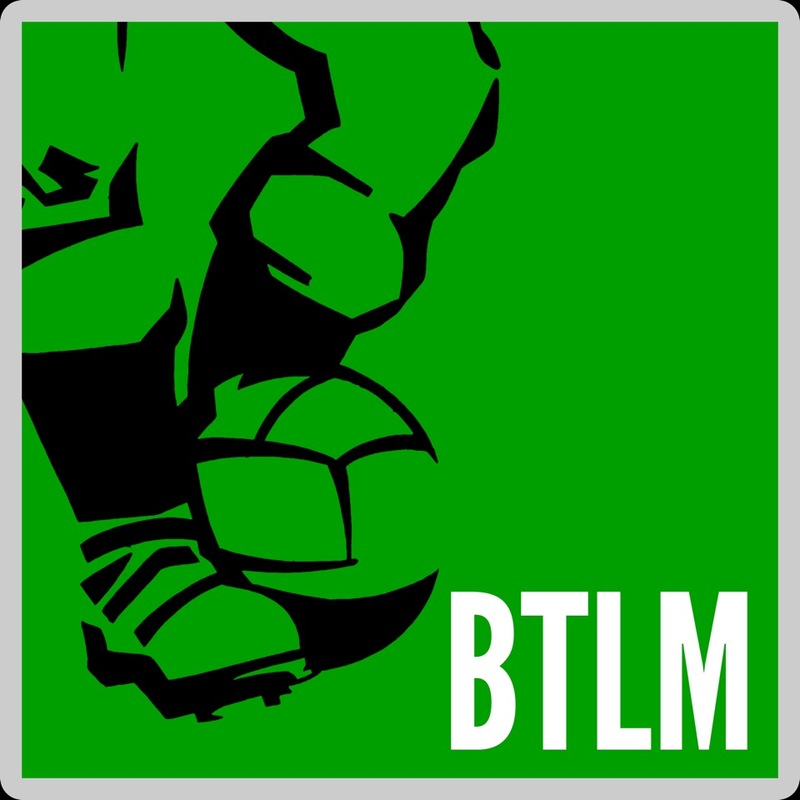 Another high-profile game that Umbro exploited to best commercial effect was the FA Centenary match in 1963 between England and the Rest of The World. 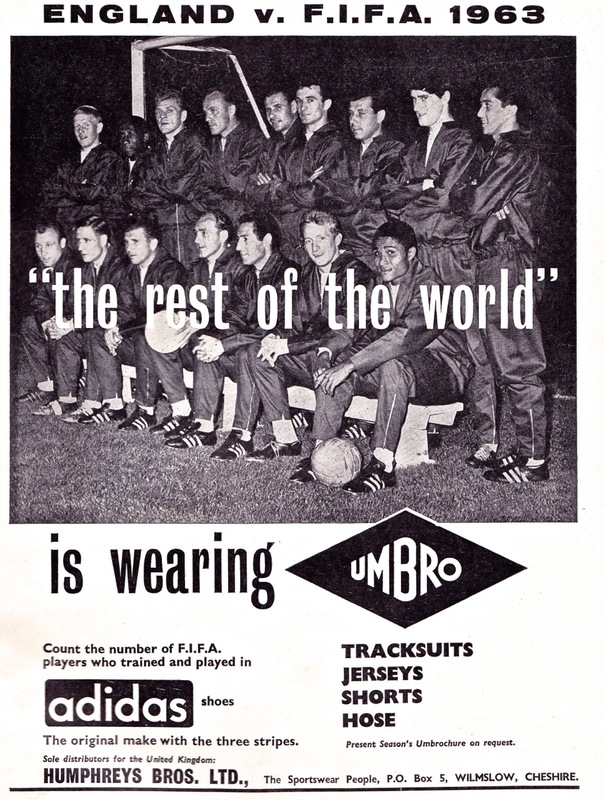 Used to having predominantly British stars wearing their shirts, this was a real coup to have world stars like Di Stefano and Eusebio sporting them for this one-off game.